A walk through magical realism - with amazing food! Our Cartagena Street Food Tour let's you taste your way through the colorful streets of Colombia's colonial gem while exploring the amazing cultural and historical sights this city has to offer. Discover a side of Cartagena most tourists just don’t see as we wander through the walled city and beyond. We have selected 7 stops to highlight the Caribbean flavors of Colombia, including treats such as patacones, arepa de huevo, and a sampling of exotic fruits and beverages that can only be found on the coast. You will enjoy an interactive adventure filled with Colombian culture, customs, cuisine, and fun! Please note, if you have a group of 4 or more we would be happy to coordinate a tour for you on any day of the week, just let us know! A glam dinner a fun night! We offer our Foodie Dream for groups of 4 people or more. We would be happy to coordinate a tour for your group. Cartagena is known for its incredible culinary scene, but with all the restaurants to choose from it can be difficult to find that perfect little spot. Don't worry, we've done all the work for you! Come join us to discover hidden treasures as we explore both the historical and gastronomic sides of this magical colonial city. You will start the evening sipping small batch Colombian rums paired with complimentary bites, sample an infused rum cocktail, and learn about the rum making process from barrel to bottle. Then we will visit two of the city's top restaurants, to taste a variety of dishes highlighting Caribbean Colombian flavors, paired with our suggested cocktail, wine or beer. Throughout the evening, our gastronomic guide will chat about local flavors and ingredients and you will learn the stories behind the food and people of Cartagena. After the tour, you can stroll through the streets of Cartagena taking in this city of magical realism. The perfect blend of Colombian coffee and history! We offer our Coffee Crawl for groups of 4 people or more. We would be happy to coordinate a tour for your group. A cup of delicious Colombian coffee is the absolute perfect way to start your day! 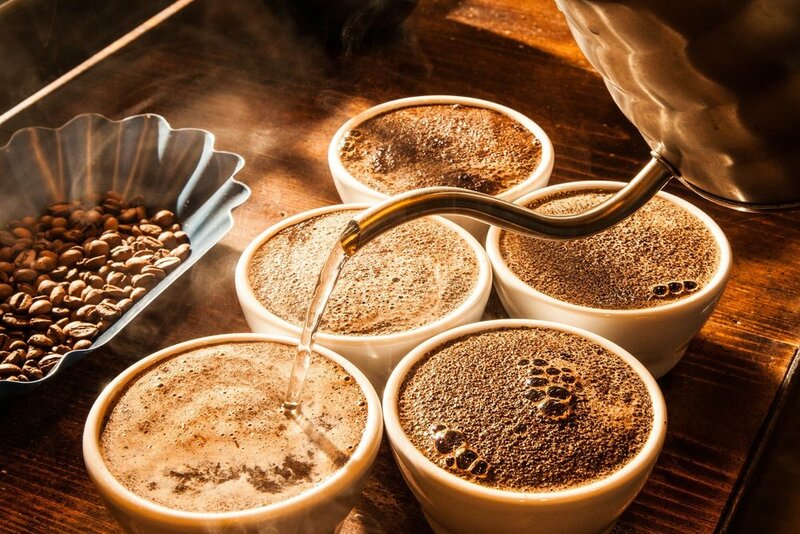 Our Colombian Coffee Crawl takes you on a tour of unique cafes to explore coffee philosophy and history. We will sip and chat about the origins of coffee, different ways to process beans, and the incredible impact this bean has had on the country. We also compare different brewing techniques and roasts while tasting premium quality Colombian coffee - paired with a few typical breakfast bites to tide you over. Our tour route will take us through the beautiful streets of colonial Cartagena, and leave you feeling buzzed and excited to discover more coffee culture in Colombia. We offer our Cooking class for groups of 4 people or more. We would be happy to coordinate a class for your group. A interactive class where the participants work hand in hand with the chef and learn about ingredients and traditional recipes from Colombian Caribbean Coast. The experience includes a welcome cocktail, a small introduction about Colombian Cuisine and a fascinating cooking class where you will learn how to prepare 1 appetizer, 1 main course and 1 dessert. Certificate of attendance to the class.